Today is my last day of uni for this semester. Which is a reason to celebrate and eat nicecream, don't you think? Okay, anything and everything is a reason for me to eat nicecream. 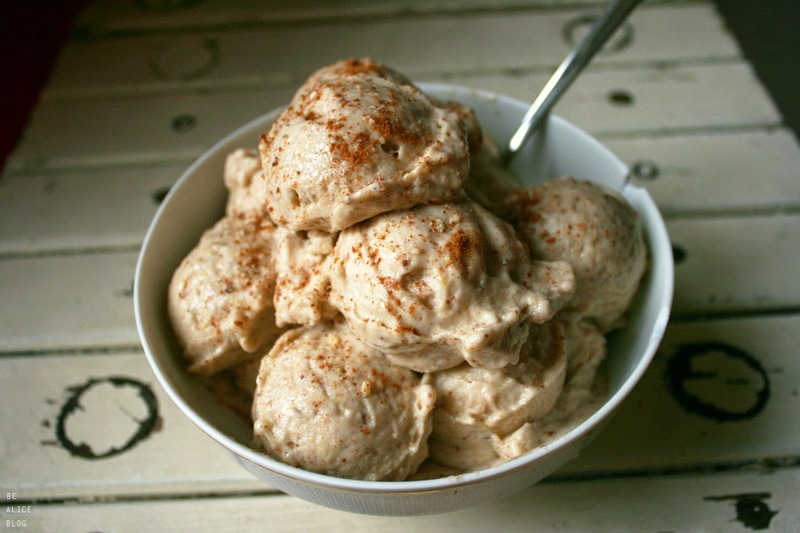 I've made Peanut ice cream, i've made Hazelnut ice cream, i've even made Walnut ice cream... why have i not tried Almond ice cream yet?! Guess what? 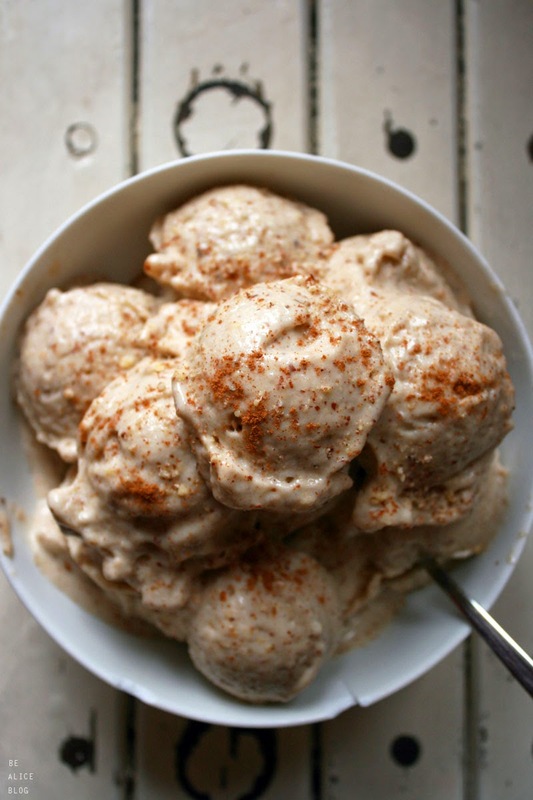 It's nutty and creamy and absolutely delicious. I also added some apple and cinnamon to make it a bit more christmas-y but that's obviously not mandatory. Using a spatula or spoon, scrape your Almond ice cream into a dessert bowl, sprinkle some cinnamon and ground or chopped almonds on top, and enjoy! NOTES: Omit the apple and cinnamon, and add 3 or more fresh Medjool dates! This way you will get the most amazing Caramel Ice Cream, with gooey date/caramel chunks in it!